Ladies, you know I love me some mascara. It is my number one, cannot live without, must have beauty item. I wear mascara every single day unless I am super sick (like last week)! It makes a huge difference on my face, and pretty much everyone else’s, for that matter! 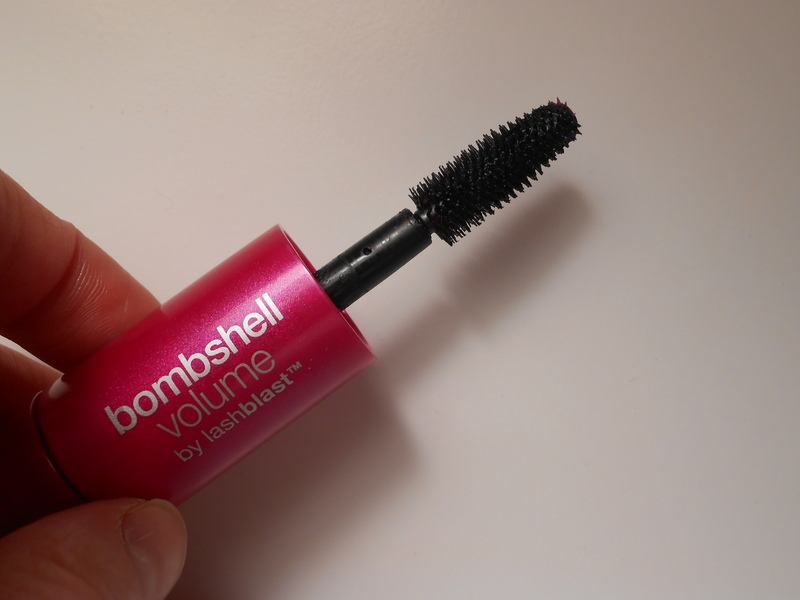 My favorite mascara is CoverGirl LashBlast, and I have tried every version…for example, see my thoughts on LashBlast fusion here. I swear by the original in the orange tube. So when CoverGirl launched Bombshell, how could I NOT try it? It’s pink! The CoverGirl is Sofia Vergara! It’s called Bombshell, Hell-OH! Of course I NEEDED it. And I really wanted to LOVE IT. Turns out, I hate it. Hate is a strong word, but I was so bummed with this mascara! The idea is great, a double ended mascara to give both volume and a shiny, super black topcoat for lustrous, thick lashes. And when I first saw the brushes themselves, I was excited. Side one looks like regular LashBlast, with teeny, rubbery bristles that grab every lash. Side two looks more like old-school mascara wands–the spiral of synthetic fiber bristles. Great concept–but it didn’t live up to my expectations. It is hard to use and not significantly better than other mascaras. Both wands themselves are short, and the rest of the tube is massive and hard to hold. I find myself trying to delicately get my inner lashes without jabbing myself, and doing the outer corners is hard too, without getting mascara on my orbital bone! I feel so clumsy whenever I use this. I will admit the mascaras layer well without flaking. Sometimes I’ve tried layering two different mascaras with disastrous results. 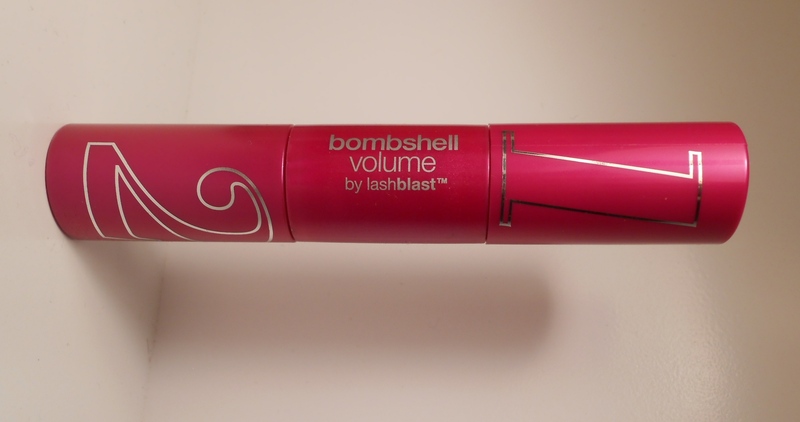 This doesn’t happen with Bombshell, but I also didn’t notice that much of a difference between Bombshell and good old regular LashBlast! And Bombshell costs a few dollars more, and to me it’s just not worth it. Here’s me with mascara on my right eye only. No big wow here, right?!?!?! BUMMER. And here’s my face of the day. 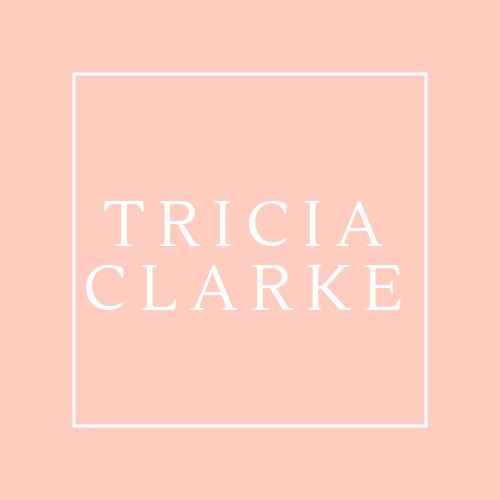 Very minimal, as I am still home bound with a sick baby! I think sometimes when the weather is dark and stormy I compensate with a brighter cheek and lip. I will do a separate post on other products I used if I get requests. Leave a comment! So, bottom line on Bombshell–big hype, little results. I will stick to my other favorites. 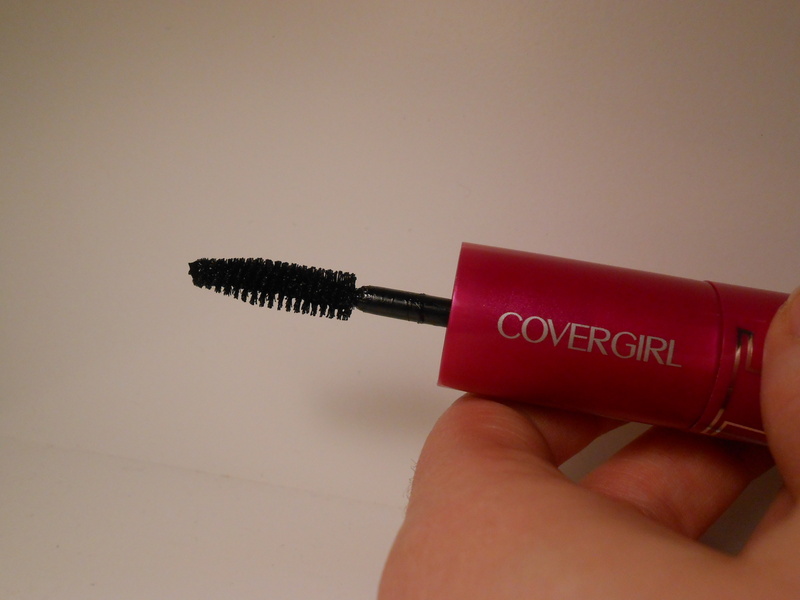 Have you tried Bombshell or any CoverGirl mascaras? What did you think? I think we have similar skin tones and I love that lip color on you! What is it? Hi Katie! 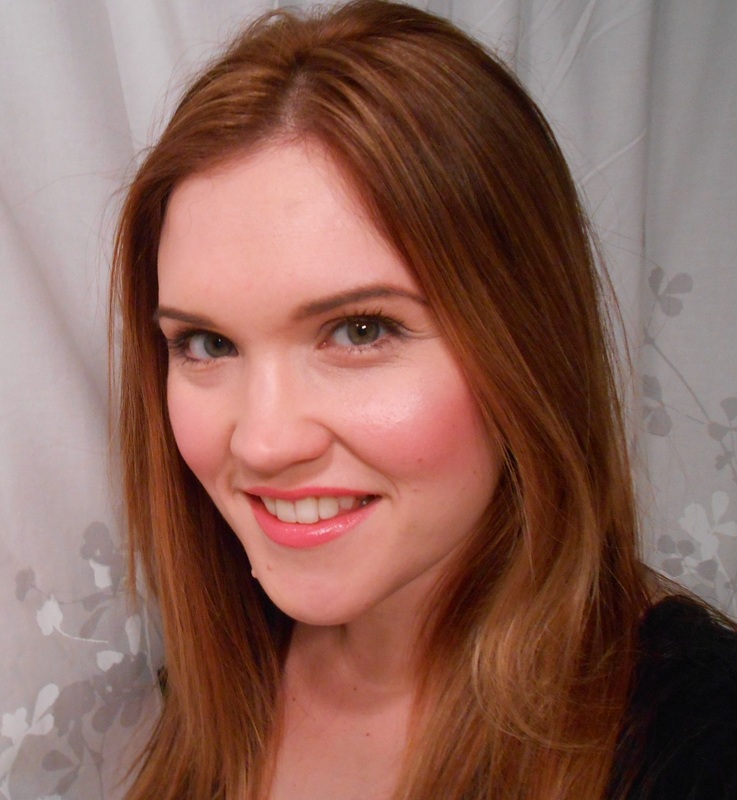 I used Chanel Precision Lip Definer in Pink Sugar, then Josie Maran Love Your Lips Hydrating Lipstick in Fuchsia Frolic because it feels so moisturizing. 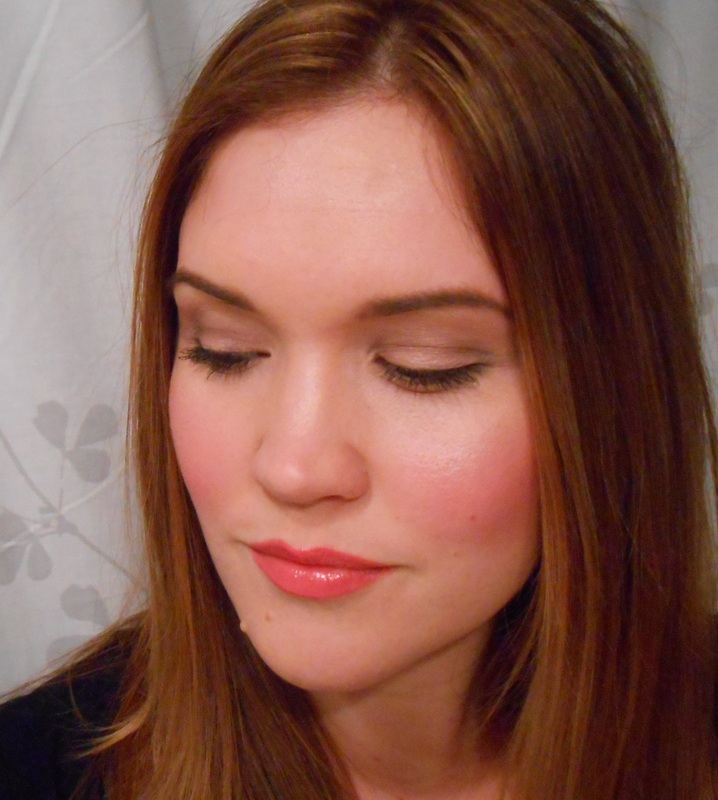 I then layered Laura Mercier Creme Smooth Lipcolor in Pink Polish, and finished with Buxom Lips gloss in Katie. I ADMIT, that is a high-maintenance lip! 🙂 (As I mentioned, I was stuck at home and bored 🙂 You could probably get a similar effect from just the Laura Mercier Lipstick followed by a bright, sheer pink lipgloss. Hope that helps! Haha….it figures that a color I like is actually a combination of FOUR! I’ll try your recommendation though, thanks! I know! I promise to do some more streamlined lip looks in future, k?